Sun City Oro Valley Home February 2016 Sales update for February 2016 presents the latest sales data from Tucson MLS. 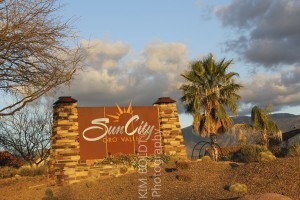 Sun City Oro Valley is located at the base of the Catalina Mountains in the Town of Oro Valley. It is a Del Webb active adult community in the master planned community of Rancho Vistoso. The location at the foot of the Santa Catalina Mountains is only one of the amenities of the Sun City Oro Valley community. With over 4500 active adults it offers a friendly hometown feeling. Sun City Vistoso is close to Oro Valley shopping but far enough away for tranquility. Sun City Oro Valley home floor plans provide golf course and mountain views. Sun City Oro Valley is a popular Del Webb Retirement Community in Rancho Vistoso. While golf is a popular activity, swimming, tennis, hiking, hobby groups are available. Dozens of hobby and social clubs put the “active” in Active Adult. Oro Valley is unique in that it has been inhabited discontinuously for nearly two thousand years. Artifacts of the Hohokam Tribes from around 500 AD are still being discovered. Another is the Christina Taylor Green Memorial River Park (formerly Cañada del Oro Riverfront Park). It features tennis and basketball courts, recreational fields, walking trails, and connections to equestrian trails along the Cañada del Oro. Looking for Houses For Sale Tucson AZ OR interested in Tucson Arizona homes? We can help!